In November 2012 I entered the London Marathon. Being a UK citizen with a1:11:15 half marathon from Grete’s Great Gallop in October 2012 I managed to get automatic entry into the UK Championship category, a category which lines up just behind the elite runners. And in January 2013 preparations were going well. Too well as it happens. Fast forward to April and rather than racing London, and aiming to be top M45-49, I was instead spectating. So what happened in the intervening period? And what, if anything, have I learned? 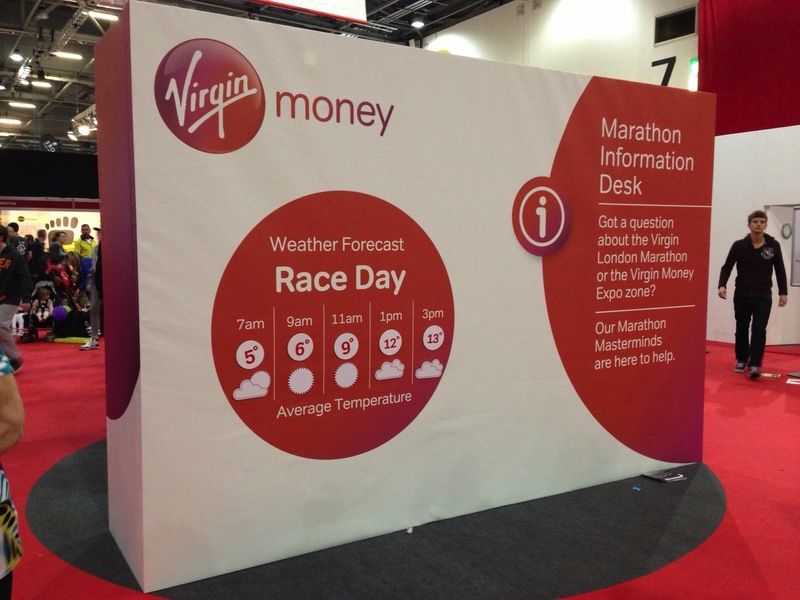 At the London Marathon Expo the day before the race. Well those following my posts will recall that in late January I was running 22-23 mile progressive long runs closing them out in sub-5:30 miles. I made the error of saying to more than a few running pals that I felt invincible. By mid-February I was grounded, laid low by sciatica and doing barely any running. After a month of muddling along I resorted to getting help. Fellow Warren Street runners suggested various physical therapists but many proved hard to get an immediate appointment with: some suggested dates two months out. So I went to my PCP (for non-Americans that’s a GP) who referred me to NY Sports Med. A few days later I had my first session with Daniel Rofe. Over the course of 12 sessions Daniel did a lot of massage and stretches focused on releasing the vice that had gripped my sciatic nerve. He also got me working on strengthening certain muscle groups like calves and glutes (I now know where they are) and doing yoga to help flexibility. Within a few weeks the nagging pain in the arse had passed but I was still not running. Like lots of runners my big fear, aside from loss of muscle strength and cardio vascular fitness, was getting fat. The fear itself seems to have limited my weight gain to a few ounces. However, the Afghani chap selling frisbie sized donuts from his food cart at the NW corner of Fifth Avenue and 44th Street has seen less of me. As my course of treatment with Daniel came to an end he referred me to his colleague, Allison Lind, a top triathlete. She did a gait analysis which revealed the extent to which my running style is sub-optimal. Allison has me now doing drills and other exercises to improve running form. Working on my drills outside our apartment in Boulder. Ironically my recovery phase started around the time I was watching London. I managed to do some 8-10 mile runs over that marathon weekend. While I am not a good spectator, London and the events of the previous weekend in Boston, had reminded me why I love being a runner. 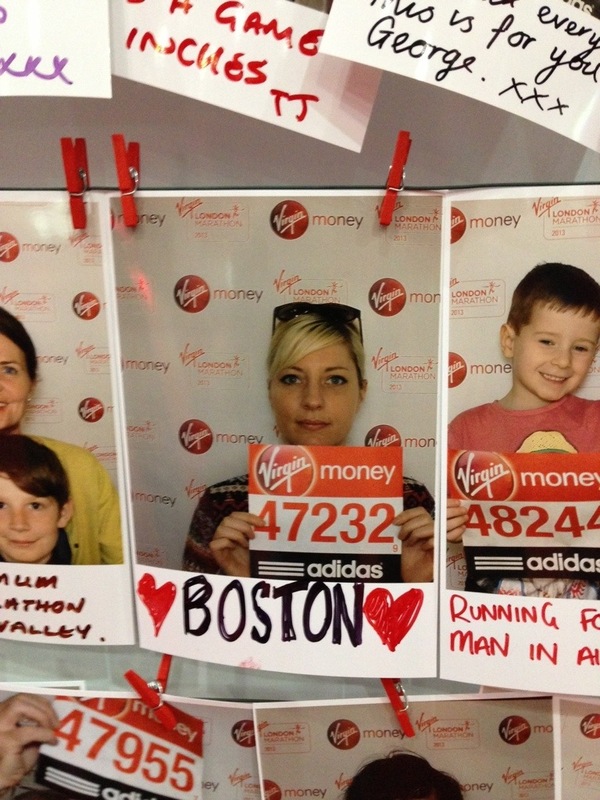 London runners remember their Boston friends on the photo message board. 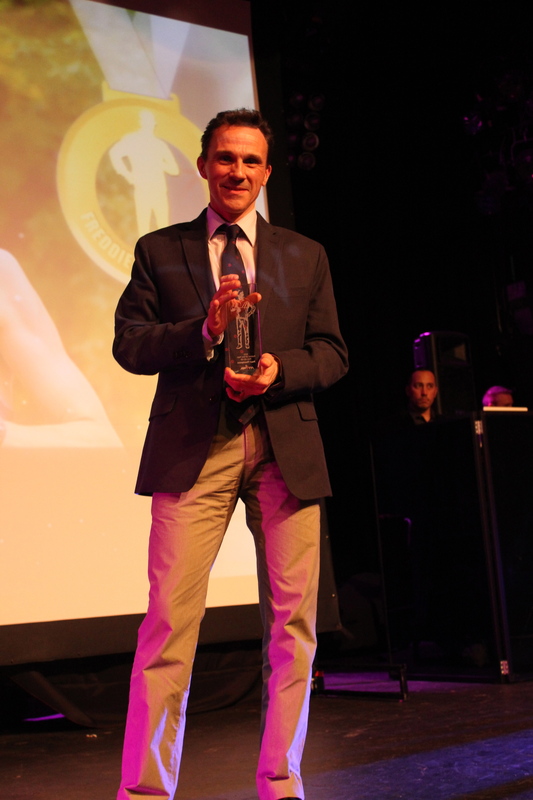 Two other pieces of news have also helped propel my motivation: winning the NYRR Runner of the Year 2012 for M45-49 and getting an honorary mention in the USATF 2012 Masters Long Distance Road Runners of the Year (M45-49). For the past few weeks I have been running around 30-40 miles a week. Today I am writing from Boulder CO. having run 10 miles at around 7 minutes per mile on undulating offroad trails at an altitude of around 5,500 feet. I can still feel the sciatic nerve but today my main impediment was a lack of fitness. 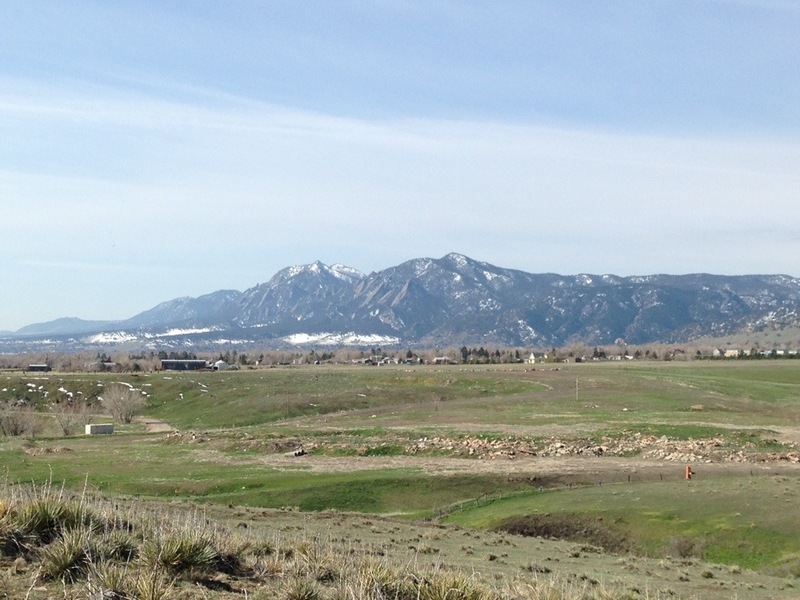 View of the Flatirons while running on the Front Range, North Boulder. I have learned a few things these past few months. First, without running and runners my life would have a gaping hole in it. Second, read the early warning signals: when running well do not let your guard down as trouble could be just around the corner. Third, get treatment as soon as possible. And finally, take up yoga to maintain flexibility. This entry was posted in Running and tagged Boston Marathon 2013, London Marathon 2013, running injuries, sciatic nerve. Bookmark the permalink.